Today, we’re looking at one of the most expensive, but also one of the most important and enjoyable purchases you make every year: a holiday. 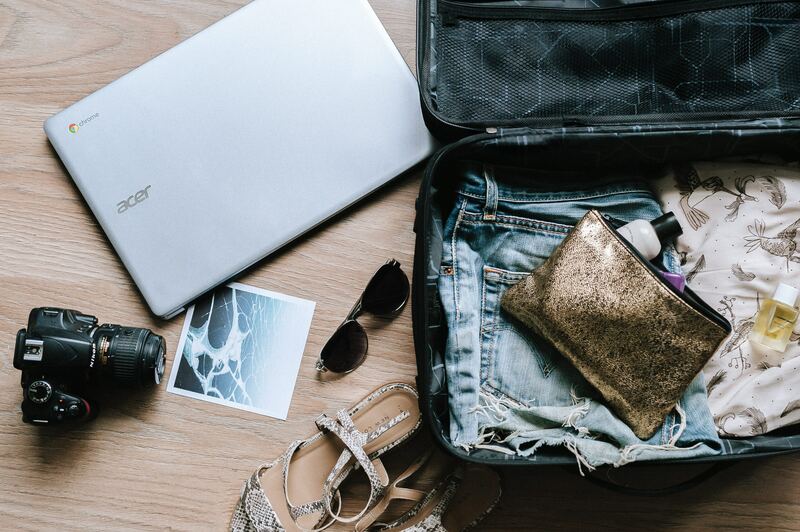 Here are 5 steps you can take to reduce the stress of planning and paying for a holiday, helping you save money and ensuring you have a brilliant break. Holidays are expensive, but they’re really important! Whatever work you do, it’s essential that you give yourself some time during the year to tune out, and the best way to make the most of the time and money you have to spend on a holiday is by having a careful budget. Firstly, when budgeting for a holiday, work out the maximum you can spend… then take 10%-20% off. That’s your budget. Once you have the number in your head of what you can spend, stick to it. The money you save can go towards special dinners and activities on the trip. It’s really easy to go over budget when booking a holiday as upgrades, optional extras and activities all add up quickly. Holidays are essential, but don’t book something you can’t afford. It could turn your break into something that actually creates stress and worry. Top tip: The best holidays are stress-free, so save and only spend what you can afford. Once your budget is set, it’s time for the fun to start... and that means planning your trip. The easiest way to save money when visiting the prime locations of the world is by avoiding the busiest times of the year, as these are often the most expensive. Travelling during low season and avoiding school holidays (if you’re travelling without children) is the easiest trick, so plan a time when you can avoid the rush - November and May are good months - and avoid facing high season prices and surging airline fares. Where to go depends on your budget. Truth is, you don’t have to go half the way around the world to have a great holiday. Europe is full of destinations that suit all tastes and expectations and are all served by value airlines. And of course, the UK is full of great holiday spots to explore by jumping on a train or in the car. When budgeting, the trick is to be flexible with when you want to go and a little creative with your destination. If you do both, you can save a tonne of money and still have a truly memorable holiday. Top tip: If on a budget, be flexible and creative with the time of year and the destination. Now you’ve decided when and where you want to go, you can put together the perfect itinerary. Of course, agencies and operators can do this for you, but they’ll charge for things that you can do yourself thanks to technology. Sure, some people prefer to hand the hassle to an agent who will put together a package, but with flight finders and holiday marketplaces, it’s easy and cheaper to do it yourself. Top tip: Book it yourself and, if feeling brave, book as independently as possible. As with all of life’s biggest purchases, the best way to pay is with cash and the best time to pay for them is now. But there are trustworthy, credible credit options you can use if you need a hand. Just make sure that you stick to your cautious budget. Options include your trusted friend, the credit card. Some of these - such as the British Airways American Express card - give rewards when you purchase flights and hotels. So if you’re thinking about using a credit card, choose one that will pay you a little back. Alternatively, some holiday providers now offer you assistance if you want to spread the cost of your holiday over time. Thomas Cook’s recently launched 0% payment plan allows you to pay for a holiday in instalments via direct debit. Top tip: Pay cash and stick to your budget, but payment schemes can help if need be. If you book a holiday independently, chances are you’re going to have to make some large money transfers in advance to people and businesses (hotels, guest houses) that you’ve not met before. As we know, holidays are great fun, but expensive, and this can stressful. One way to lessen that stress is to make sure all payments are secure. Shieldpay offers that peace of mind. Fully authorised and regulated by the FCA, Shieldpay’s transparent payment solution mitigates the risk of fraud by verifying the identity of all parties, holding funds securely and only releasing funds when all sides agree they’re happy. So when paying for your holiday, use Shieldpay for protection. Fraudsters operate everywhere, and it’s especially dangerous if you don’t meet the person you’re paying face to face. So make payments secure with Shieldpay, which makes life’s biggest purchases some of life’s safest. Top tip: Use Shieldpay to protect any transactions you make. Planning a holiday should be one the most enjoyable tasks you have to do all year. What’s more, with a few simple, careful precautions, you can minimise any stress by planning, researching, staying on budget and remaining secure when you pay for it. At Shieldpay we're here to help you with that.